GREAT MILES 1,221! Navigation, Heated Seats, Moonroof, iPod/MP3 Input, Back-Up Camera, Onboard Communications System, CD Player, CONVENIENCE PACKAGE, HEATED STEERING WHEEL, Aluminum Wheels, All Wheel Drive, Turbo Charged. AND MORE!KEY FEATURES INCLUDENavigation, Sunroof, All Wheel Drive, Back-Up Camera, Turbocharged, iPod/MP3 Input, CD Player, Onboard Communications System, Aluminum Wheels, Dual Zone A/C, Blind Spot Monitor, Smart Device Integration. OPTION PACKAGESCONVENIENCE PACKAGE Heated Front Seats, Power Tailgate, SiriusXM Satellite Radio, 1 year All Access subscription, Comfort Access Keyless Entry, HEATED STEERING WHEEL. 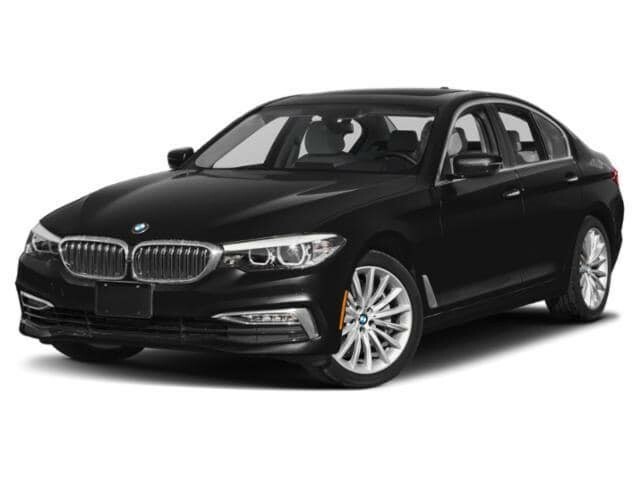 BMW 530i xDrive with Black Sapphire Metallic exterior and Black SensaTec interior features a 4 Cylinder Engine with 248 HP at 5200 RPM*. EXPERTS ARE SAYINGEdmunds.com's review says With the exception of upgraded brakes, this BMW doesn't rely on sheer horsepower or road grip to sling it around corners. What you get instead is a package that feels extremely well-rounded, which is better. This is how a sport sedan should handle.. Great Gas Mileage: 33 MPG Hwy. OUR OFFERINGSBMW of Manhattan specializes in Certified Preowned vehicles and pride ourselves in providing ultimate in customer care and service. As one of the largest volume CPO BMW dealers in the Tri State Area with a Huge Inventory of low mileage well maintained vehicles and custom tailored Lease and Finance programs you can't do better than BMW of Manhattan. Come today and browse the finest selection of low mileage and pristene vehicles. It's one thing to create a vehicle. It's quite another thing to create a category. Today, the BMW 328i Sedan continues to define the segment with razor-sharp lines, 230 horses Horsepower calculations based on trim engine configuration. Fuel economy calculations based on original manufacturer data for trim engine configuration. Please confirm the accuracy of the included equipment by calling us prior to purchase.